We begin a time-lapse project for the new Legoland Discovery Centre in Manchester. We will time-lapse the building of two models at Legoland’s main workshops in Windsor. The two model constructions to be time-lapsed are a model of the Blackpool Tower and a model of the Midland’s Hotel. We set up and install a time-lapse system on special bespoke post to capture the entire build of Alton Towers’ new rollercoaster… The project is expected to run for 12 months until March 2010 and will cover every stage of the building process, from the groundworks to the finished theming of this newest Rollercoaster for the Merlin Entertainments Group. As ever, the latest images the camera captures, will be viewable to our clients and their stake holders via coded access to our servers. 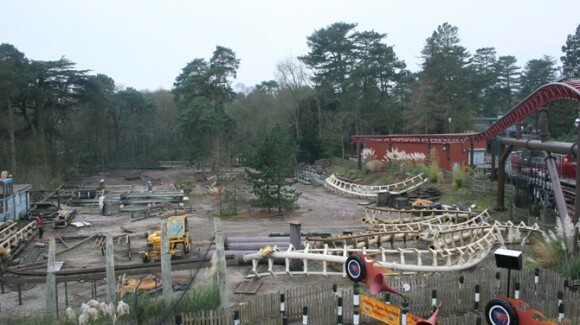 The entire demolition of the iconic Corkscrew Rollercoaster has now been time-lapsed for Alton Towers resort… We are now looking forward to putting together the edit. We start the time-lapse of a new attraction – Sharkbait Reef by Sealife. We begin by setting up our time-lapse camera systems to time-lapse externally…. and at a later stage will move the cameras inside in order to cover the filling of the Sealife tank.